Abstract: Though science’s knowledge base is expanding rapidly, the breakthrough paper rate is narrowing and scientists take longer to make their first discoveries. Breakthroughs are related to how information is recombined, yet it remains unclear how scientists and inventors forage the knowledge base in search of tomorrow’s highest impact ideas. Studying 28 million scientific papers and 5 million U.S. patents, we uncover 2 major findings. First, we identify “Darwin’s Conjecture,” which reveals how conventional and novel ideas are balanced within breakthrough papers. Second, we find an “information hotspot.” The hotspot is that cluster of papers of a certain age distribution in the knowledge base that best predict tomorrow’s hits. Together, works that combine knowledge according to Darwin’s Conjecture or forage in the hotspot double their odds of being in the top 5% or better of citations. These patterns result in over 250 scientific and technology fields, are increasingly dominant, and outperform other predictors of impact, suggesting a universal link between the age of information and scientific discovery. Bio: Brian studies the links between social networks, complex systems, and human achievement in the areas of business, science, and the arts. He is the Richard L. Thomas Distinguished Professor of Leadership at the Kellogg School of Management, Northwestern University. 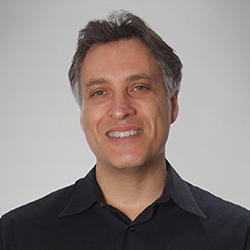 He is also co-director of the Northwestern University Institute on Complex Systems (NICO) and is a professor of sociology and professor of management science at the McCormick School of Engineering. Brian has received over 10 scholarly research prizes and 13 teaching awards. He has been on the faculty of Harvard University, INSEAD, University of Chicago, and UC Berkeley where he was the Warren E. and Carol Spieker Professor of Leadership. Media reports featuring his work have appeared in the WSJ, Economist, Newsweek, NYT, Fortune, Wired, on Television, and in the New Yorker Magazine. Abstract: Millions of publications are now produced each year by scientists around the World, providing historical traces of current research trajectories and quantifiable links to the past. Because an increasing obsolescence rate of scientific knowledge may lead to a systemic ‘reinventing the wheel’ syndrome, it is important to quantify and understand citation trends in light of the exponential growth of scientific publications and references, which is analogous to monetary inflation in real economies. We focus on how attention in science varies in time. We consider both the decay of attention towards single publications and the concentration of citations across time. We find that nowadays papers are forgotten more quickly than in the past. However, when time is counted in terms of the number of published papers, the rate of decay of citations is fairly independent of the period considered. We also find a narrowing range of attention – both classic and recent literature are being cited increasingly less – pointing to complex social processes that underly shifts in scientific myopia and hyperopia. To better understand how these patterns fit together, we developed a network-based model of the scientific enterprise, featuring growth, the redirection of scientific attention via publications’ reference lists, and the crowding out of old literature by the new, and validate the model against several empirical benchmarks. In particular, we show that shifts in the reference age distribution follow directly from sudden perturbations to the growth rate of scientific output – i.e. the new layer of rapid online publications. Bio: Santo Fortunato is Professor of Complex Systems at the Department of Computer Science of Aalto University, Finland. Previously he was director of the Sociophysics Laboratory at the Institute for Scientific Interchange in Turin, Italy. Prof. Fortunato got his PhD in Theoretical Particle Physics at the University of Bielefeld In Germany. He then moved to the field of complex systems, via a postdoctoral appointment at the School of Informatics and Computing of Indiana University. 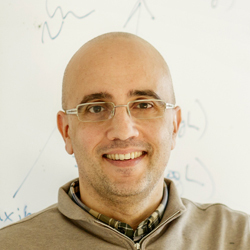 His current focus areas are network science, especially community detection in graphs, computational social science and science of science. 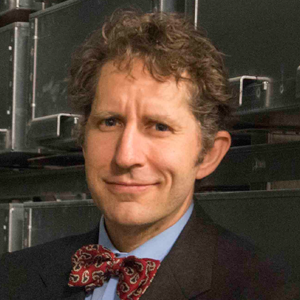 His research has been published in leading journals, including Nature, PNAS, Physical Review Letters, Reviews of Modern Physics, Physics Reports and has collected about 15,000 citations (Google Scholar). His review article Community detection in graphs (Physics Reports 486, 75-174, 2010) is the most cited paper on networks of the last years. He received the Young Scientist Award for Socio- and Econophysics 2011, a prize given by the German Physical Society, for his outstanding contributions to the physics of social systems. Abstract: Despite the frequent use of numerous quantitative indicators to gauge the professional impact of a scientist, little is known about how scientific impact emerges and evolves in time. In this talk we quantify the changes in impact and productivity throughout a career in science and show that impact, as measured by influential publications, is distributed randomly within a scientist’s sequence of publications. This random impact rule allows to formulate a stochastic model that uncouples the effects of productivity, individual ability and luck, unveiling the existence of universal patterns governing the emergence of scientific success. The model assigns a unique individual parameter Q to each scientist, which is stable during a career and accurately predicts the evolution of a scientist’s impact, from the h-index to cumulative citations. Finally, we show that the Q-parameter is more predictive of independent recognitions, like prizes, than cumulative citations, h-index or productivity. 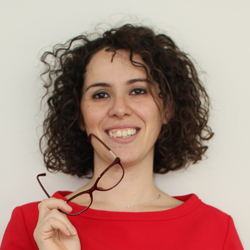 Bio: Roberta Sinatra is an Assistant Professor at the Center for Network Science and at the Math Department, Central European University (Hungary), and a visiting Faculty at the Network Science Institute, Northeastern University (USA). She is a theoretical physicist by training, working at the forefront of network and data science, developing novel theoretical methods and analyzing empirical data sets on social phenomena and human behavior. Currently, she spends particular attention on the analysis and the modeling of information and dynamics that lead to the collective phenomenon of success. Roberta completed her studies in Physics at the University of Catania, Italy, and spent time as a visiting research student in Universities and Research centers in Zaragoza (Spain), London (UK), and Vienna (Austria). In 2012 she joined the BarabasiLab in Boston, first as Postdoctoral fellow, then starting 2014 as Research Assistant Professor. She has won several awards and grants, in particular a 3-years fellowship by the James S. McDonnell Foundation and a grant from the AirForce for the study of scientific success. Abstract: Efforts from large collaborative teams, with anywhere between 20 and 1000 members, have led to major scientific and technological breakthroughs, and studies have shown that their work has higher citation impact than the works of small teams and individual researchers. Is small-team mode of knowledge production a thing of past? Is society wasting resources by continuing to fund individual researchers who primarily work alone or with only a few collaborators? The key to answering these questions lies in understanding the principles that govern team formation and their evolution. I have modeled the sizes of research teams in several fields over the last 60 years, since the emergence of first large teams. According to the model, which is able to reproduce the empirical data remarkably well, each large team originates from a small team. While many small teams stay small, some quickly accumulate additional members proportionally to the past productivity of team members, developing into larger teams, and allowing them to grow even faster. However, even today, the small teams remain the necessary seeds for the formation of larger teams. Furthermore, I show that the topics covered by large teams represent only a subset of themes that small teams work (60% in physics). Thus the small teams appear to be critical in maintaining the intellectual diversity and expanding the frontiers of science, and may serve as the incubators for the topics that big teams work on. 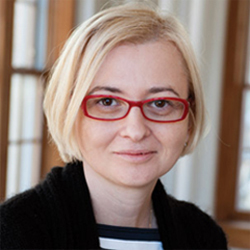 Bio: Staša Milojević is an Associate Professor of Information and Library Science, a core faculty of Cognitive Science, and a fellow of the Rob Kling Center for Social Informatics at Indiana University, Bloomington. She is co-founder and past chair of ASIST SIG METRICS and serves on the editorial board of Scientometrics. Her research combines theoretical, mathematical, statistical, and computational approaches to study how modern scientific disciplines/fields form, organize and develop.